In this lesson we are going to look at "Pinch Harmonics." First of all I want you to touch the low "E" string over the 12th fret, ensuring that your finger is over the metal fret itself, now pick the string. Notice that you get the same note (E) an octave higher. Now turn some gain up on your amp and gently touch any string with the fretting hand, moving over all the frets. Notice that as we move along the length of the string we get all manner of harmonics occurring. Lick 1 - Zakk Wylde gets a real edgy aggressive sound by using pinch harmonics. Make sure you really get definition in the pinched notes so they really stand out. Accuracy is the key here, we really need to hear the harmonic squealing out. 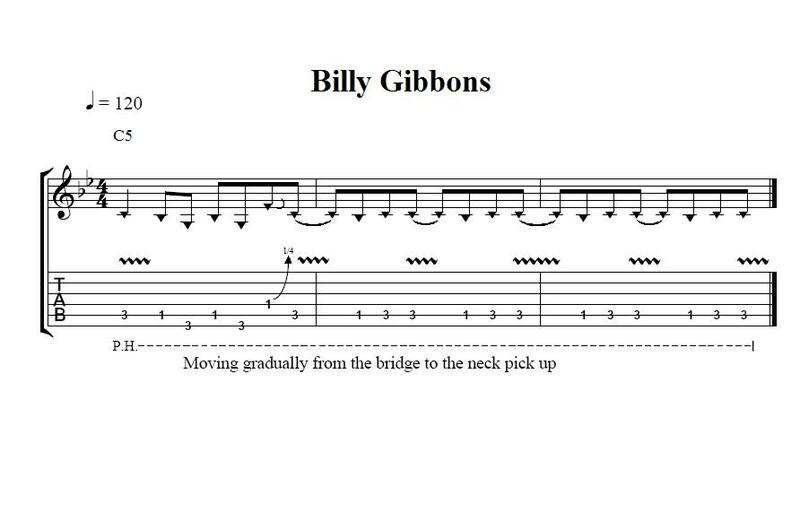 Lick 2 - Billy Gibbons uses pinch harmonics as an integral part of his style. Here you start off picking the harmonics around the bridge pickup and gradually move towards the neck pickup. This gives a variety of harmonics. 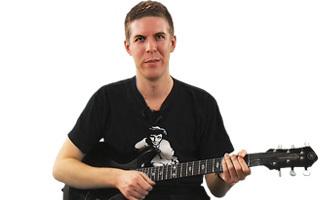 Lick 3 - In this example we apply harmonics to bent notes in the style of Robbie Roberston. Ensure that you pitch the bend accurately and that you get those harmonics screaming out! Be sure to experiment by moving the picked harmonics along the length of the string.